I have written about the need for pedestrian facilities in previous posts. 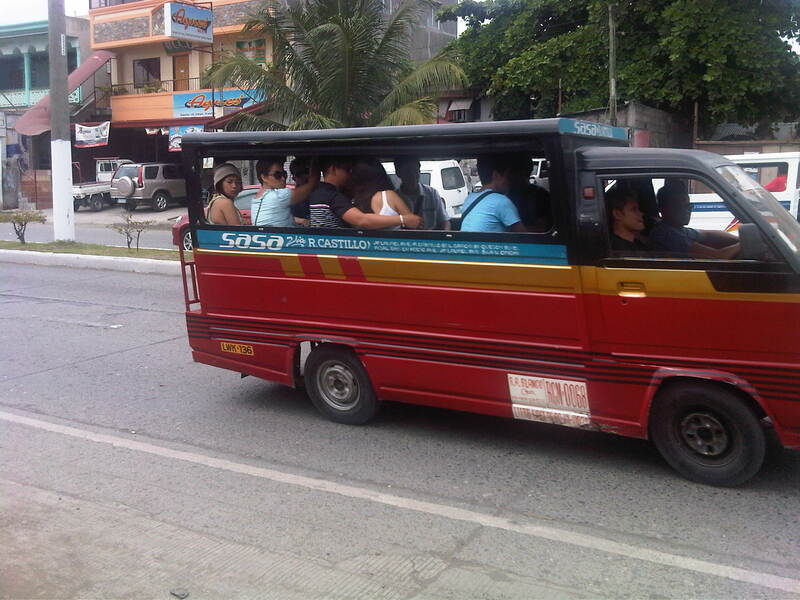 These include walking as a mode of transport, walkability in the Philippines, and even some personal experiences. There is no doubt about how important pedestrian and bicycle facilities are in order to promote walking and cycling as environment-friendly, healthy, and therefore sustainable modes of transport. Cities and towns where people walk and cycle are among the most healthy and perhaps vibrant places in the world. Walking outdoors, in fact, should be promoted if not encouraged (i.e., its difficult to encourage if there are no facilities, and health and safety are concerns) in cities where tourism is also being promoted as it can be used as an indicator for how easy it is to go around the city or town and perhaps how clean the air is in the area. 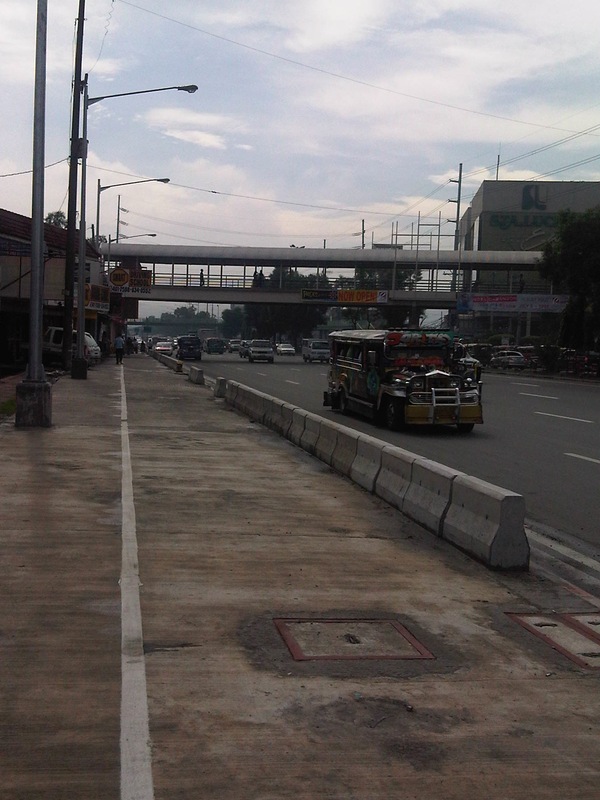 Following are a few photos I managed to take along Marcos Highway that show the newly designated bikeways apportioned from the sidewalk that was constructed along with the rehabilitated carriageway. There are bikeways on both sides of the highway as what used to be the open channel drainage was replaced by culverts and the sidewalks where built on top. In order to enhance the safety of pedestrians and cyclists, concrete barriers were placed along the road margins just above the curbs. The barriers actually work in another way, preventing or discouraging pedestrians or cyclists from wandering into the traffic lanes of this busy thoroughfare. The white line delineates the bikeway, which is the lane along the curb, from the pedestrian walkway that is on the inner side of the path. 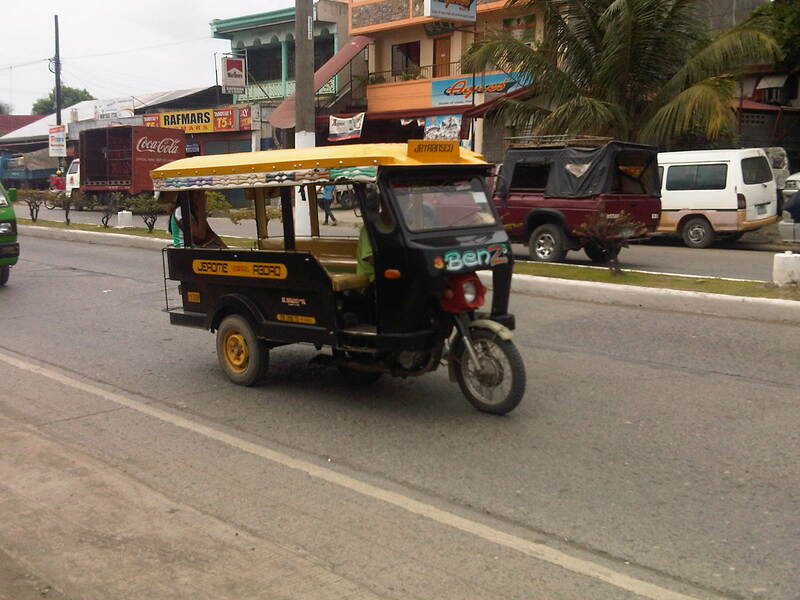 This can be a bit confusing and creates conflicts between pedestrians and cyclists as the parts of the roadside are also designated as bus/jeepney stops. Obstructions? – the bikelane runs smack into the staircase of the pedestrian overpass while the pedestrian path leads to electric posts. 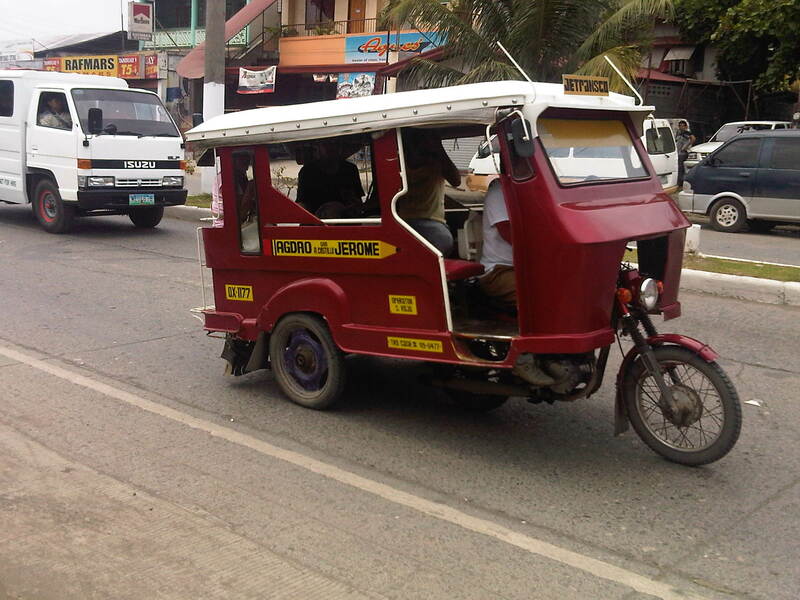 Such are issues that are also present along the more established bikeways of Marikina City. Too many signs? – from this view, there seems to be a lot of signs along the bikeway, appropriate perhaps in order to inform motorists, pedestrians and cyclists about the facilities. 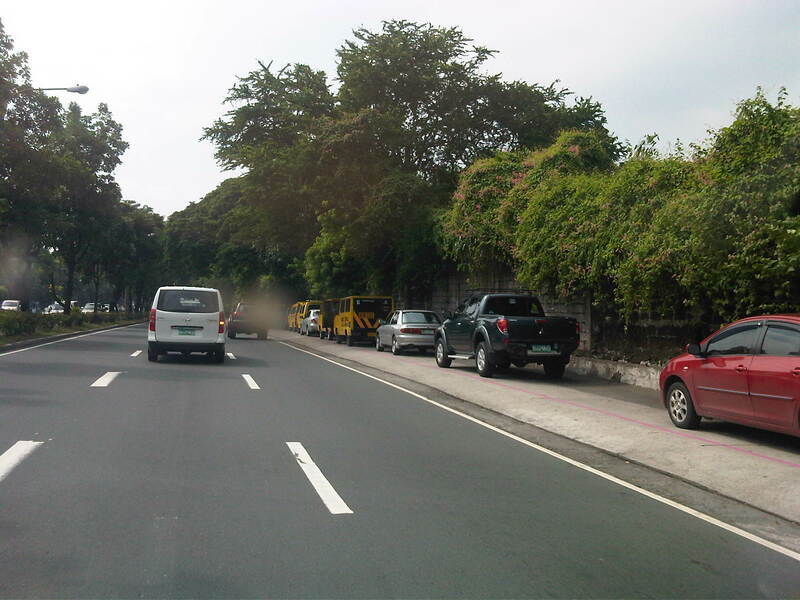 The signs are also useful for enforcement as Marikina City, for example, is strictly enforcing its policies against parking and other obstructions along the bikeway. Unfortunately, Pasig, Cainta and Antipolo are lax in their responsibilities to clear the bike and pedestrian paths from obstructions. Which direction? – the bike path markings state the direction for flow. Such is at best a suggestion as it is quite difficult to enforce one way flow for cycling. It must be made clear that the bikeway is mainly for commuting or utilitarian rather than for recreational or sporting purposes. Speeds should be slow enough for cyclists and pedestrians to co-exist and perhaps share space for two-way flow. 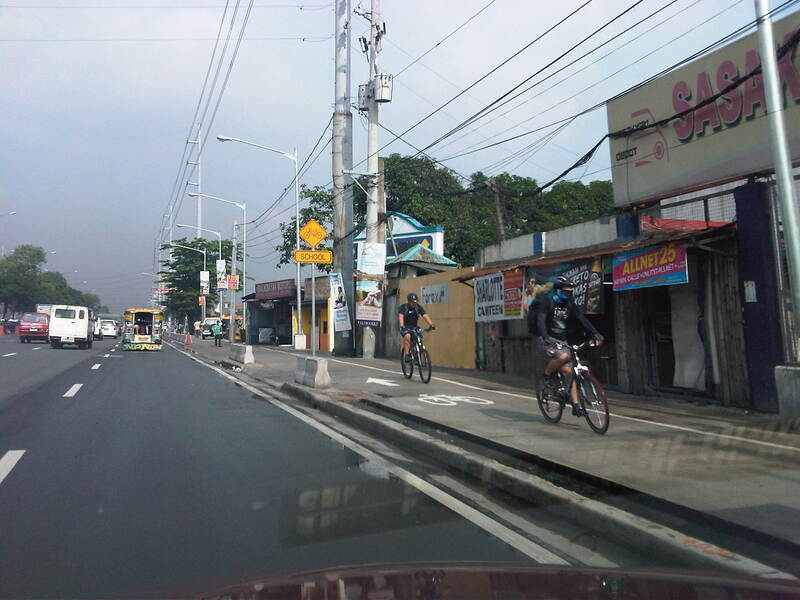 All clear – the bike path is good enough even despite it going along so many driveways due to the nature of the developments along Marcos Highway. The bike path in front of the Metro East mall can be filled with commuters waiting to catch a ride and won’t be passable to cyclists especially during the afternoon to evening. 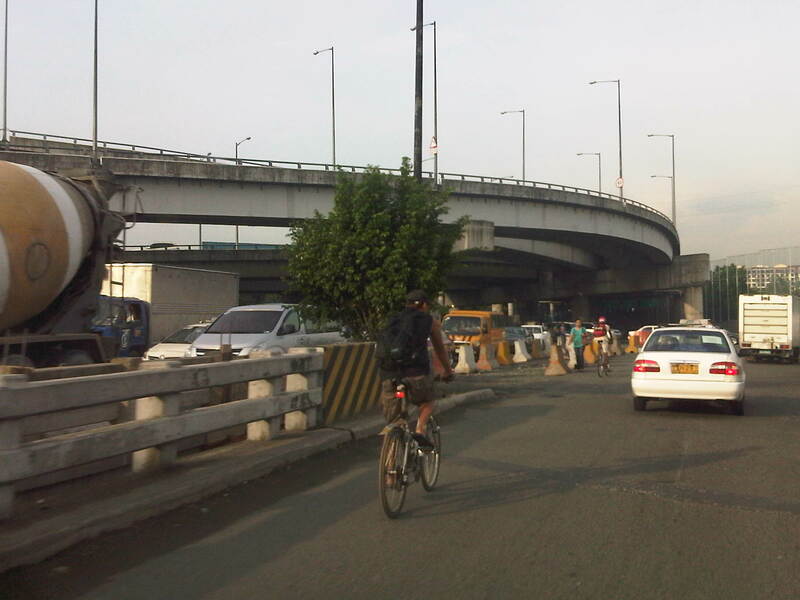 Unfortunately, crossing the highway is another challenge for cyclists as the steps for most overpasses along Marcos Highway are quite steep. 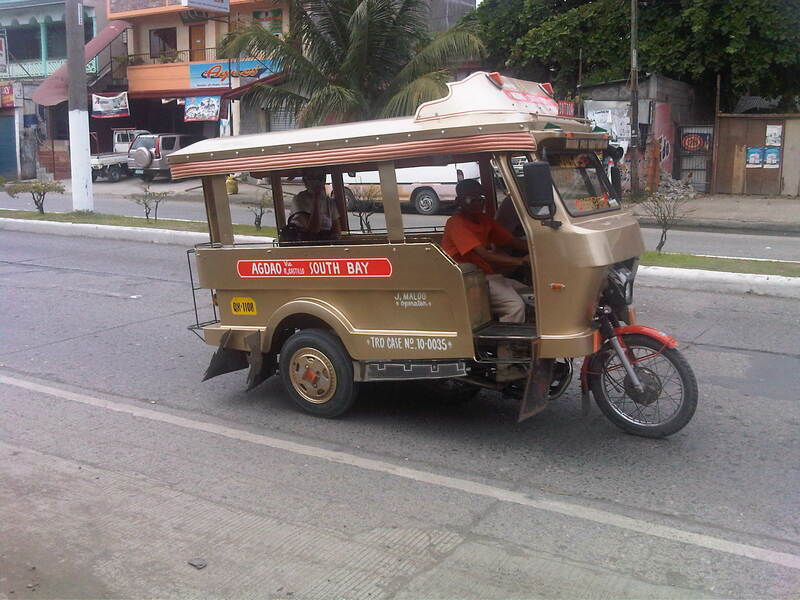 There are at least 3 that were designed to have ramps (the Imelda Ave/A. 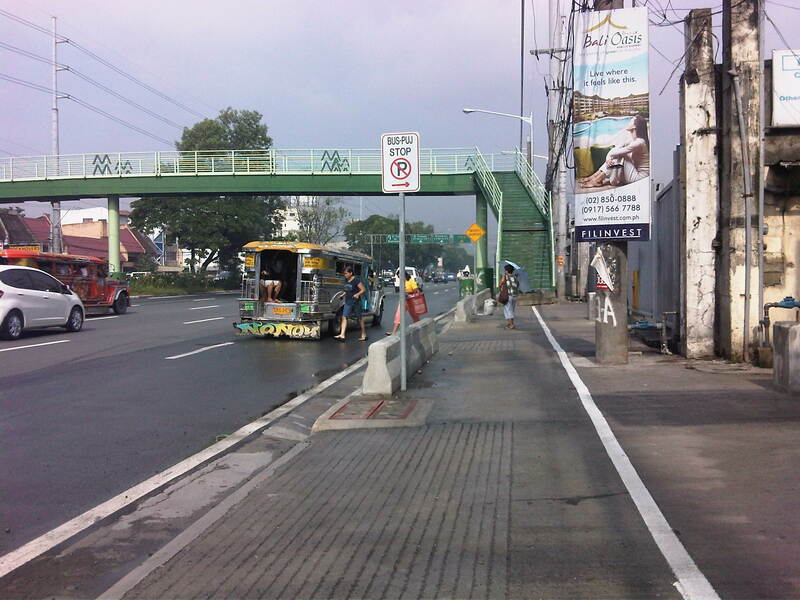 Tuazon, Dela Paz and Ligaya overpasses have ramps) for bicycles and wheelchair access). 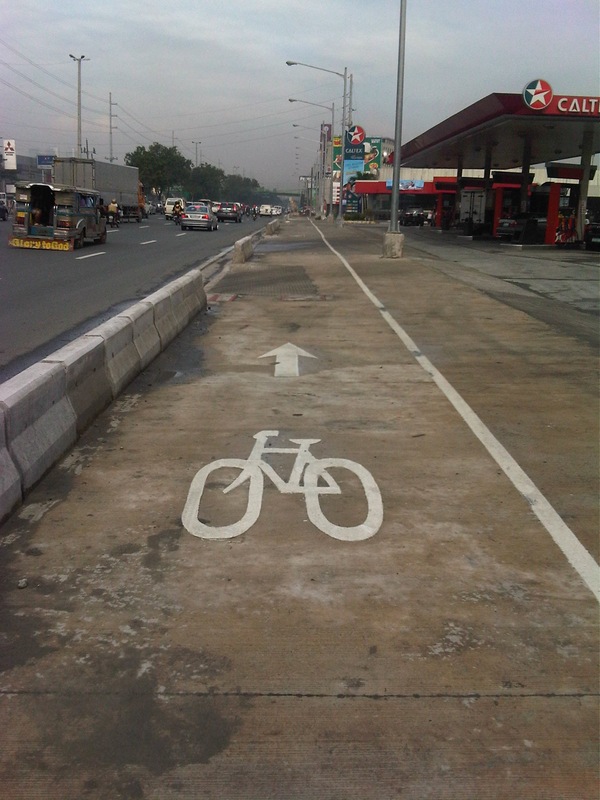 The pedestrian and bicycle facilities along Marcos Highway will certainly go a long way in promoting walking and cycling. 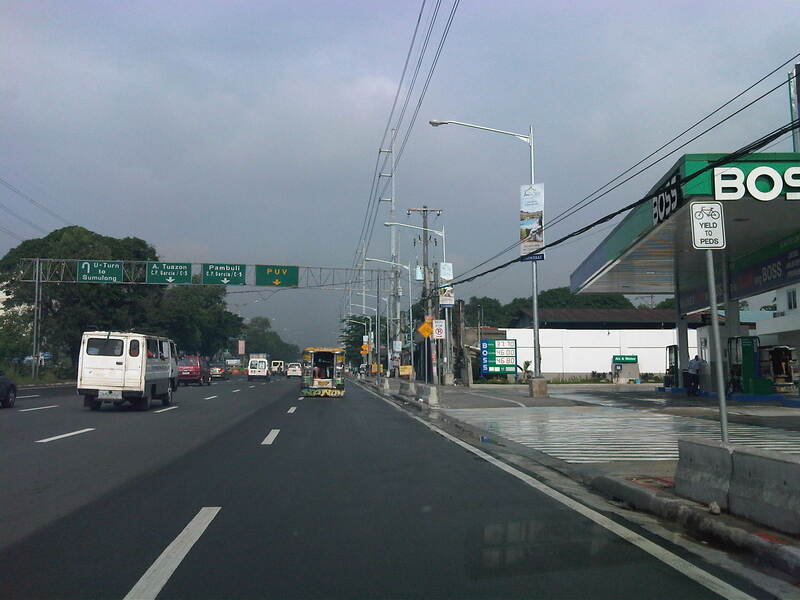 At both ends of the highway though, at the Masinag junction at the eastern end and Santolan in the west, there are issues pertaining to continuity as both bikeways and walkaways disappear and pedestrians and cyclist would suddenly have to contend with mixing it up with motor vehicles along the carriageway should they want to continue in their travel. This issue of continuity should be addressed both by policy and the provision of suitable facilities for cycling and walking. 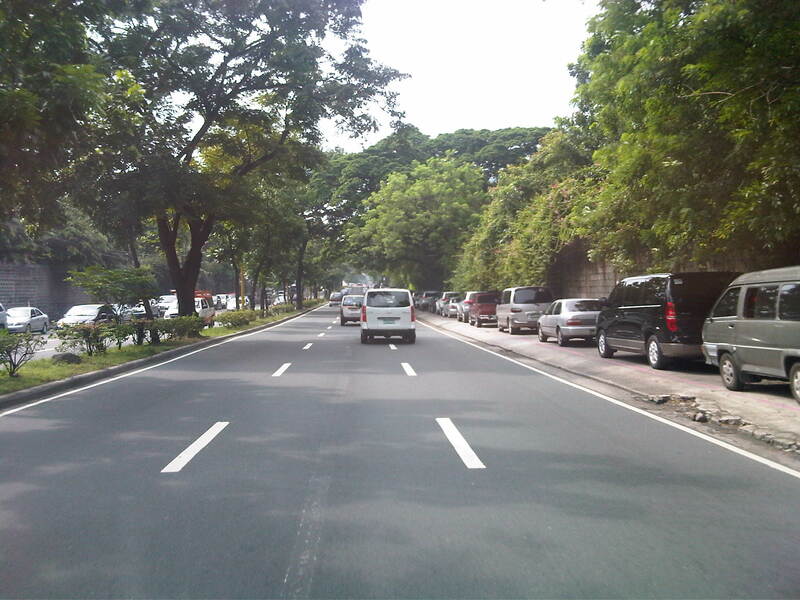 Perhaps something to think about is the realization of a link between the Marikina Bikeways, the Marcos Highway bike paths and UP Diliman’s bicycle lane along its academic oval via Aurora Boulevard and Katipunan. 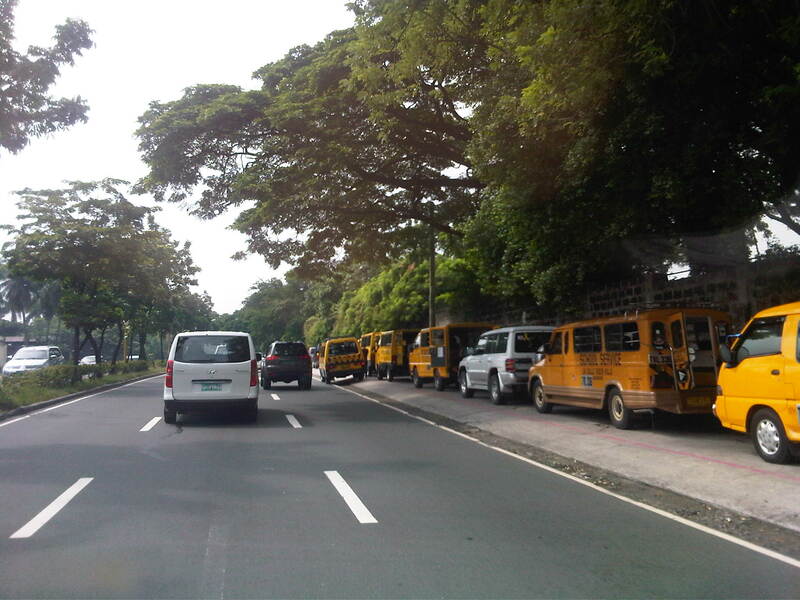 This can eventually be linked to the wide sidewalks along Commonwealth Avenue that can also be apportioned for pedestrians and cyclists. 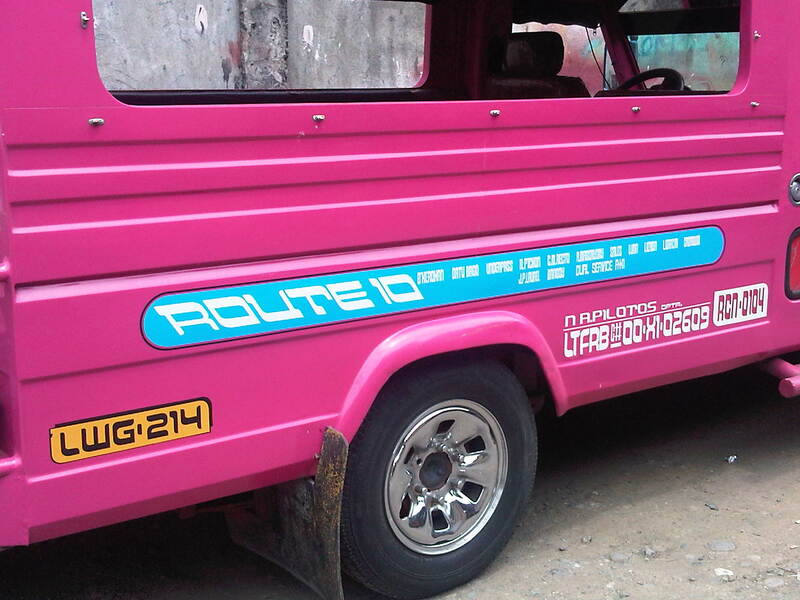 Perhaps such an integrated network covering parts of Quezon City, Marikina City, Pasig City, Cainta and Antipolo City can be realized quickly with enough effort from the respective local governments and maybe with a little help from the private sector including schools and commercial establishments along the network. 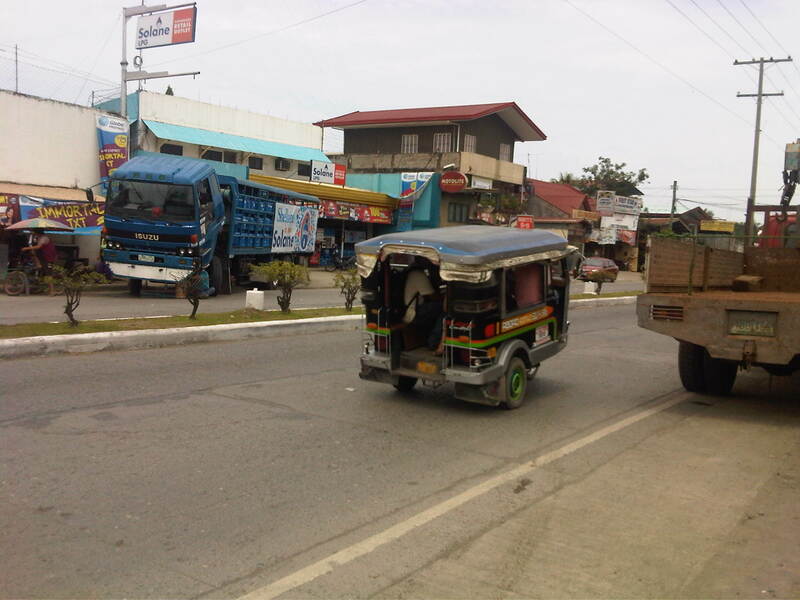 Encroachments to the road right of way (RROW) is quite common along many roads in the Philippines including national roads. 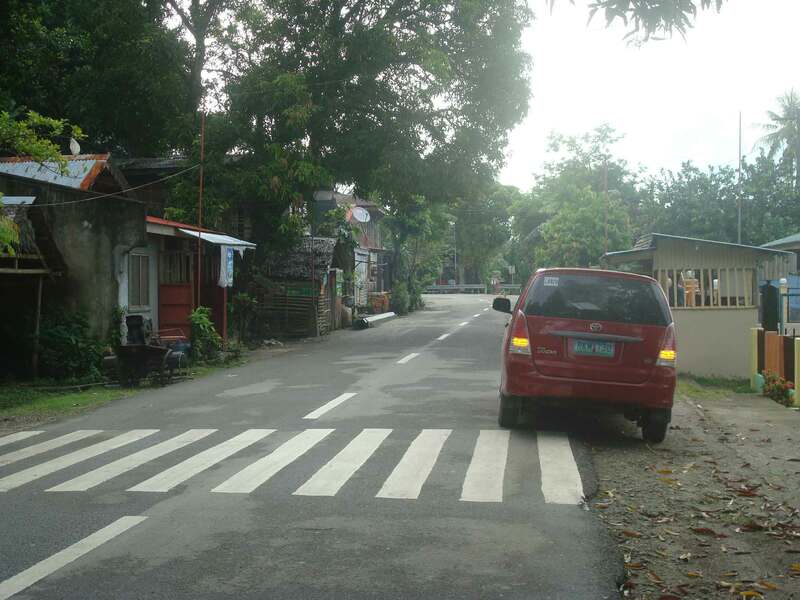 While the DPWH has jurisdiction over the latter roads in as far as construction and maintenance is concerned, the agency does not have the resources to secure these roads. Such responsibility lies in the hands of local government units (LGUs), which are tasked to regulate land use at the local level ahead of the Housing and Land Use Regulatory Board (HLURB). 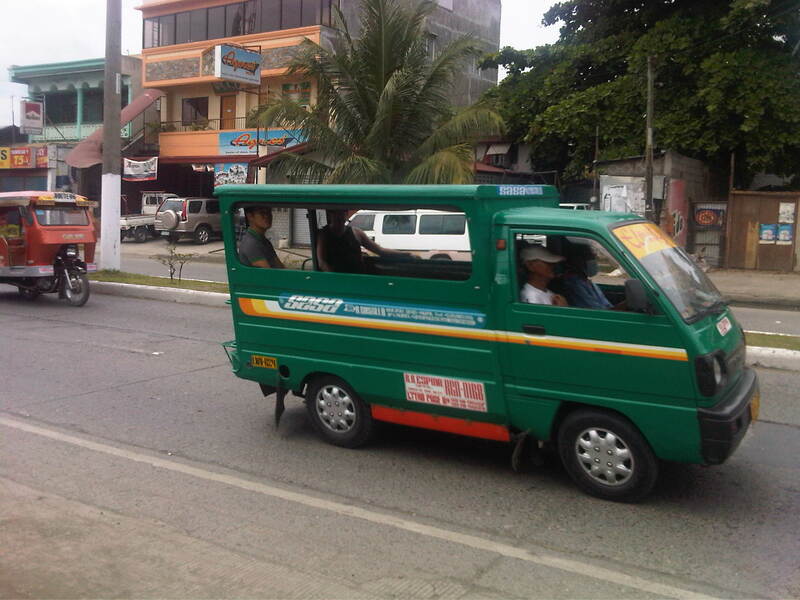 Following are a few photos I took in one trip to Palawan where we did a few road safety audits of a national highway. 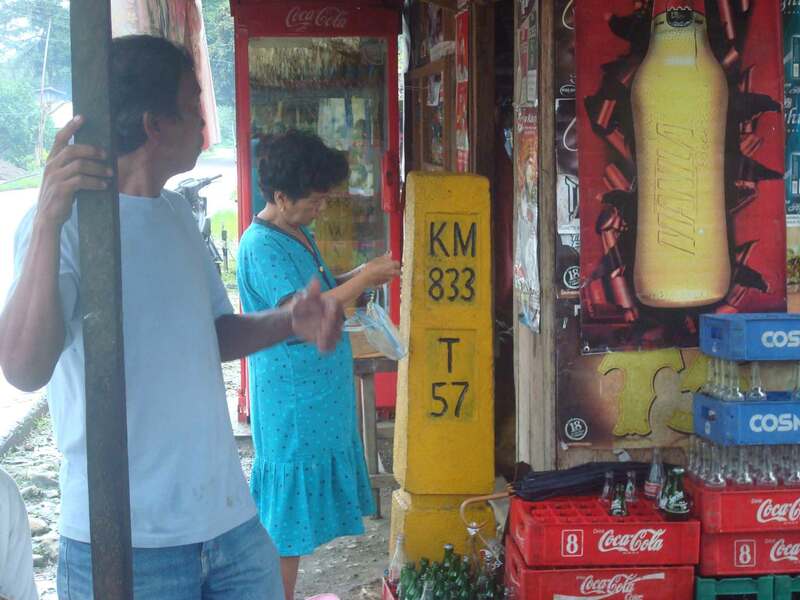 This RROW marker that doubles as a kilometer post along a highway in Palawan is located a few meters from the carriageway. While there are no developments or encroachments along this section, such markers could easily get lost. This one’s already behind the fence (and house) of a family encroaching on the RROW. 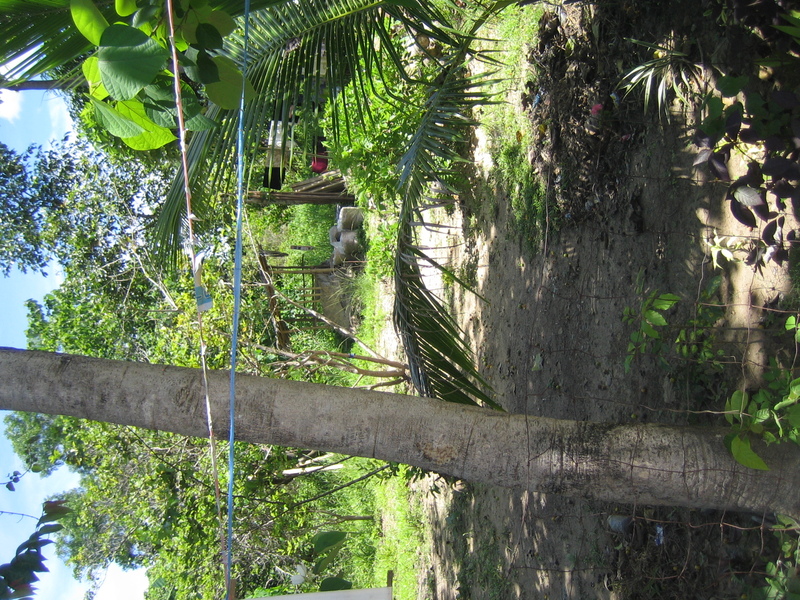 Many of these people establish homes and even informal businesses (vulcanizing shops, makeshift stores, etc.) 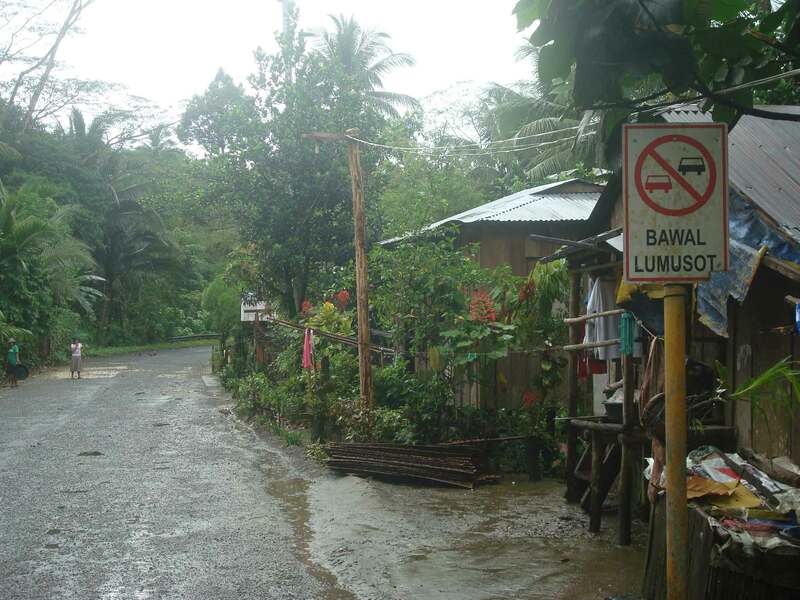 along the road with LGUs often turning a blind eye and in many cases even allowing people to register the lands as their own when in fact these have been reserved for future expansion of the road. 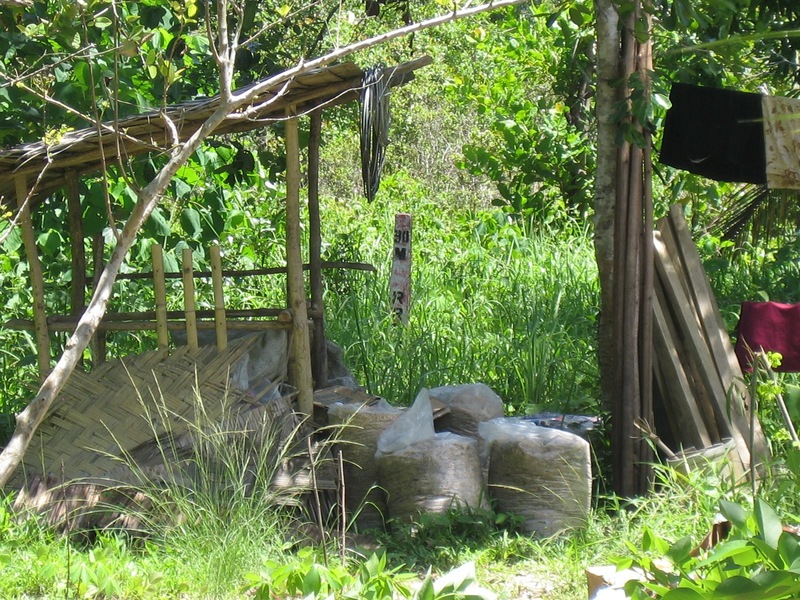 Zooming in on the marker shows it to be behind a storage shed where grain, lumber, bamboo and various other materials are piled up. 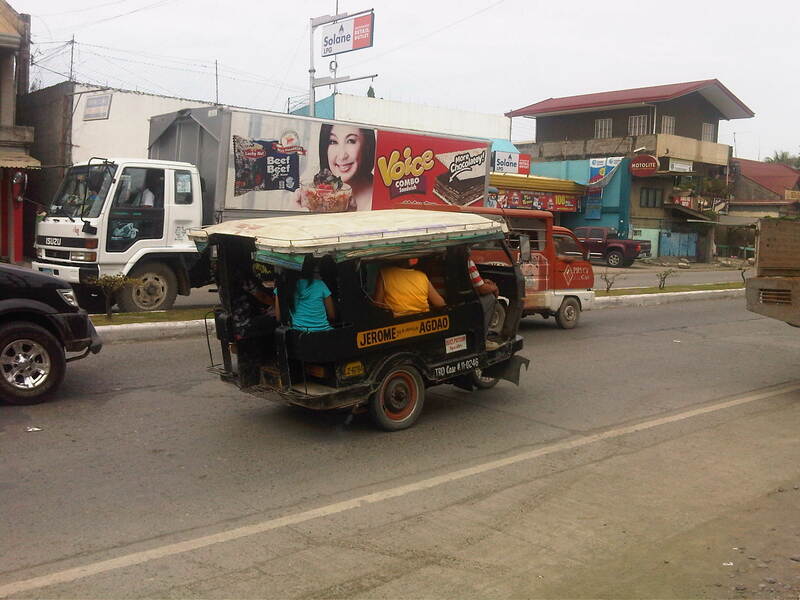 For most of these people who have encroached on the RROW, their actions are not illegal given that in many cases, the LGUs let them do so in order to develop areas along the road. The problem comes later when these developments and residents begin constricting traffic along the highways and demanding compensation when they are asked to move out to give way to road widening projects. 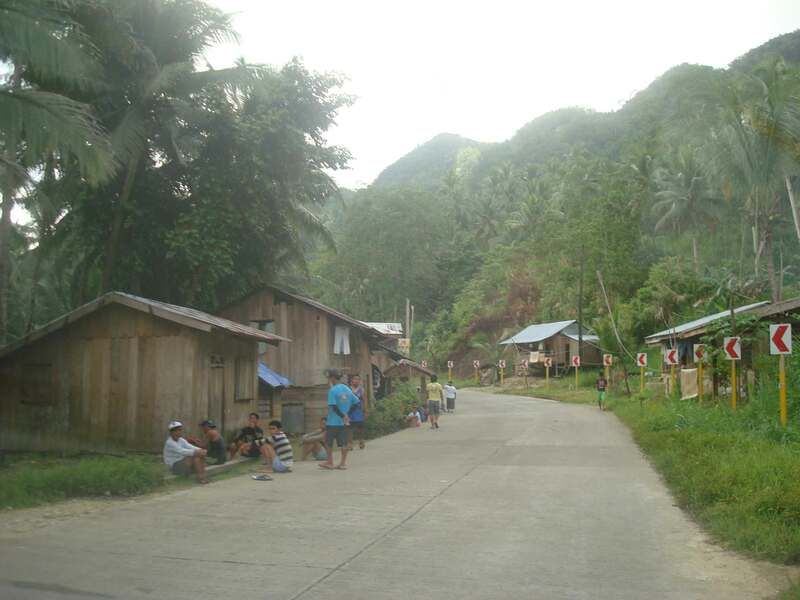 It seems that the best approach is still for LGUs to do their part in regulating settlements along roads so that most if not all will locate outside the RROW. 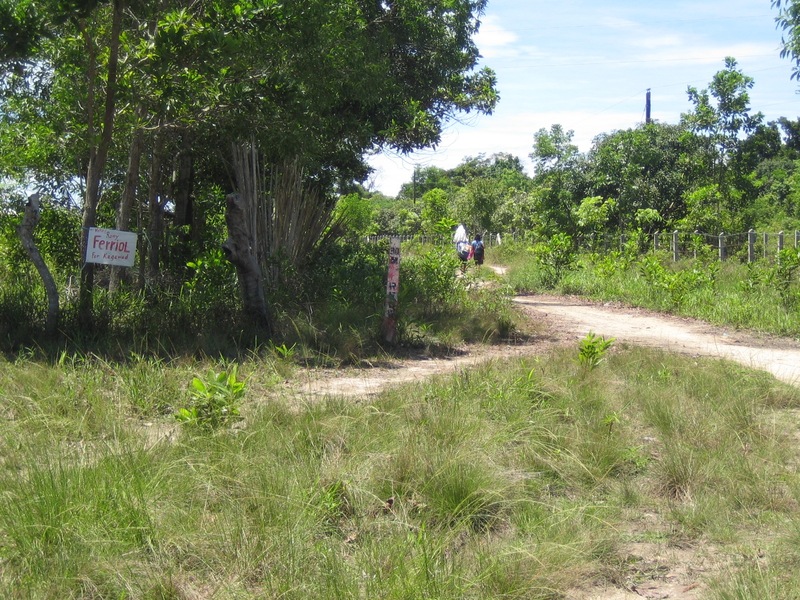 In other cases where it is obvious that development will come much later, it should be clear to settlers that the property is not theirs and will not be theirs, and that they would have to go sometime in the future when the road needs to be widened. This is not an easy thing for LGUs to accomplish but they should have system in place for this since it will considerably be more difficult later when the roadside has been settled with more permanent structures. 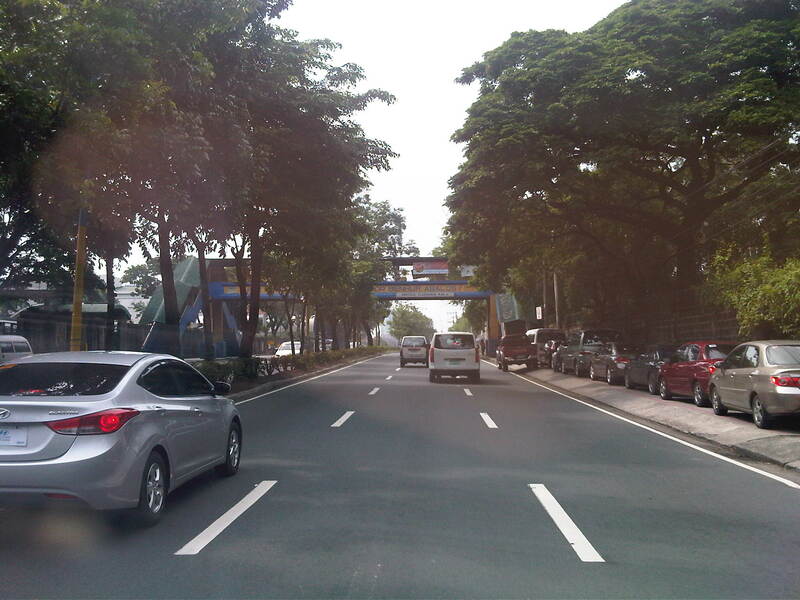 The repairs to Sales Bridge, which connects the Fort Bonifacio area to Villamor and the NAIA terminal complex, has been completed and all lanes along the bridge are now passable. 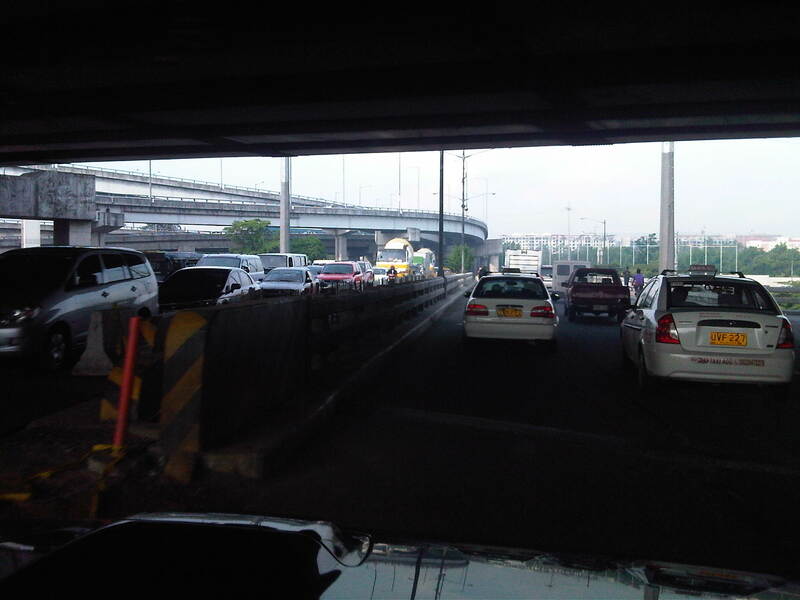 The bridge has been a bottleneck for some weeks as repair works have led to serious traffic congestion in the area, particularly along Sales Road that’s among the main access roads to NAIA, particularly Terminal 3, which is at the end of the road and along Andrews Avenue. 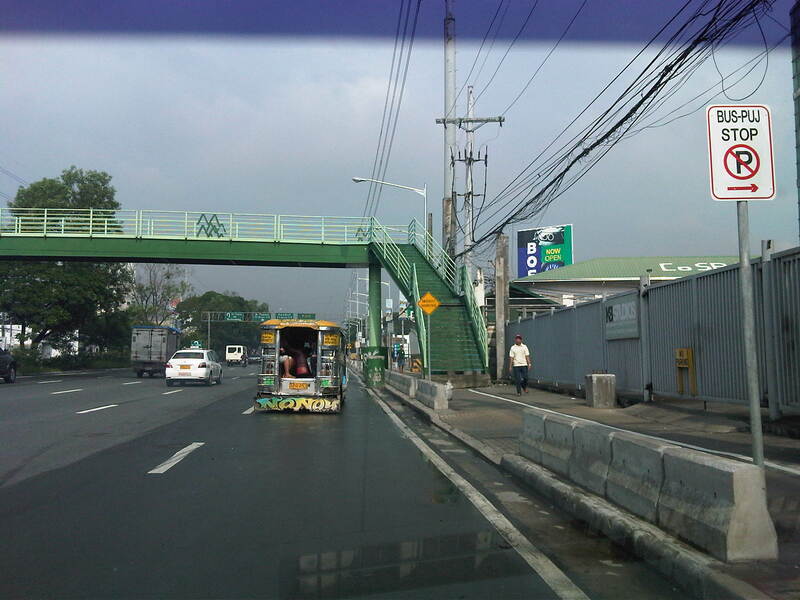 From another perspective, the bridge is also a main access route to Fort Bonifacio (and Bonifacio Global City) and Makati (via Pasong Tamo Extension) via Lawton Avenue, of which the bridge is a part of. 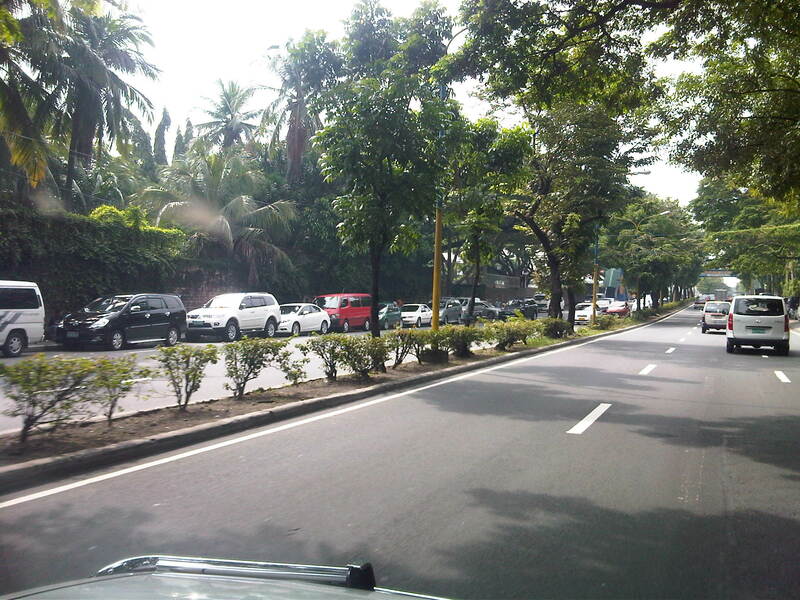 I took a couple of photos while en route to T3 clearly showing all lanes open to traffic. Under the Skyway, traffic flows smoothly on either side of the bridge. When the bridge was being repaired, only 3 lanes were available to traffic – one westbound and two eastbound. Mixed traffic along the Sales Bridge includes trucks and bicycles. 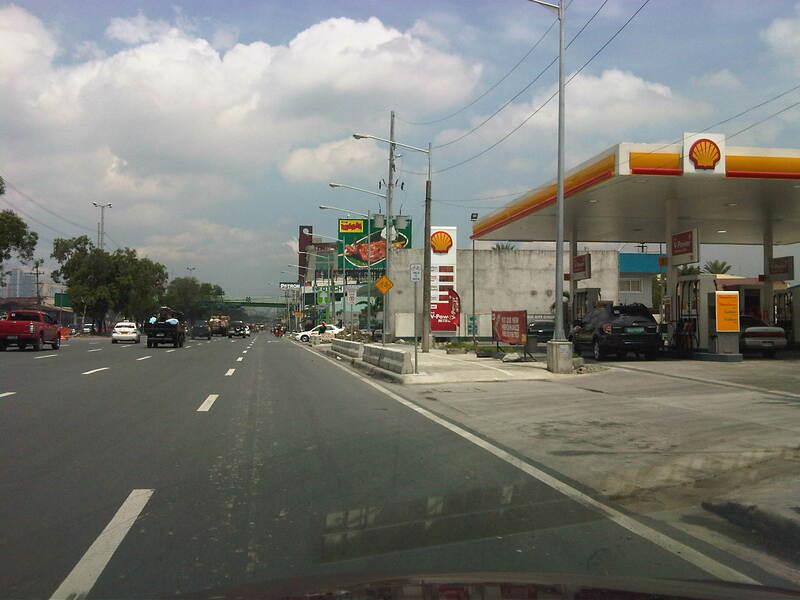 Further downstream is a roundabout at the intersection of Sales Road and the West Service Road along the South Luzon Expressway. 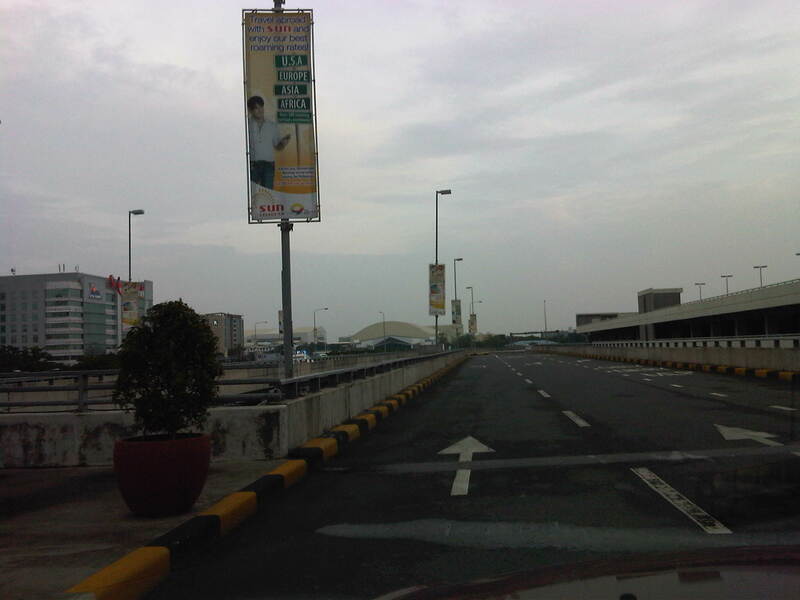 Also, shown in the photo is the Skyway ramp connecting the tollway to the Villamor and the NAIA terminal complex. 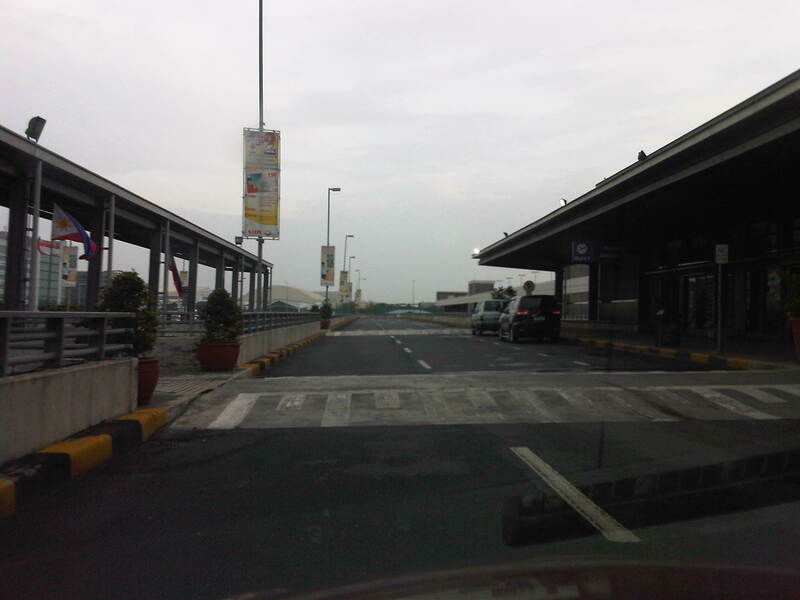 I finally had the opportunity to take some quick photos as we drove through the departure level of NAIA’s Terminal 3. The objective was to take a few photos of the still closed multi-level parking facility adjacent to the terminal building, which could be accessed both from the ground and upper level driveways. It was late afternoon and it looked like it was going to rain so the photos were not as good as I would have liked them to be. 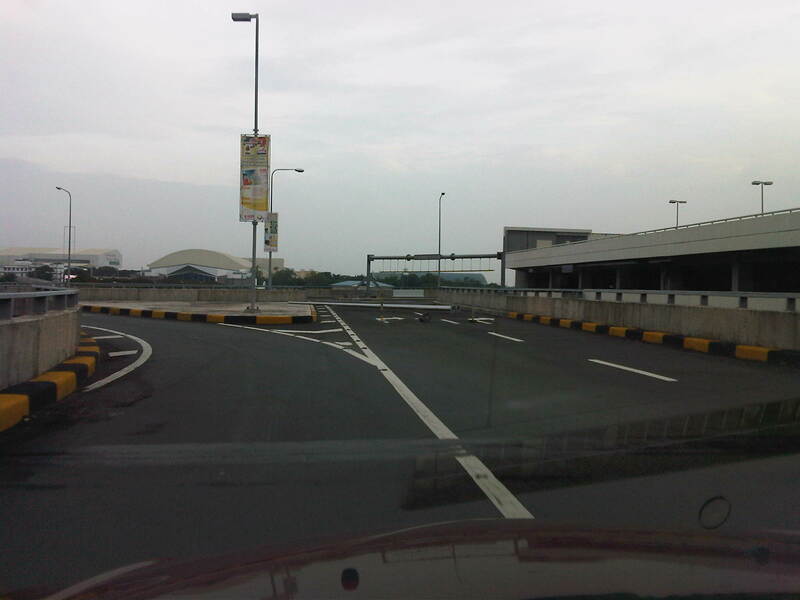 Still, they clearly show the unused parking facility of T3 that could have been quite helpful to a lot of travelers especially those who wanted to leave their vehicles at the airport a few days or nights for short trips. 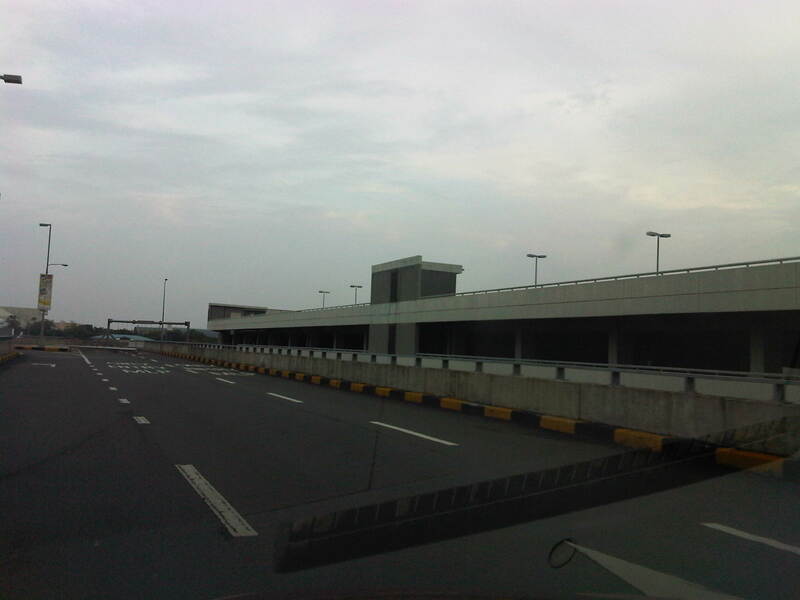 After unloading passengers and well-wishers, drivers could have proceeded to the parking building via the ramp from the second level driveway (shown at the right in the photo). 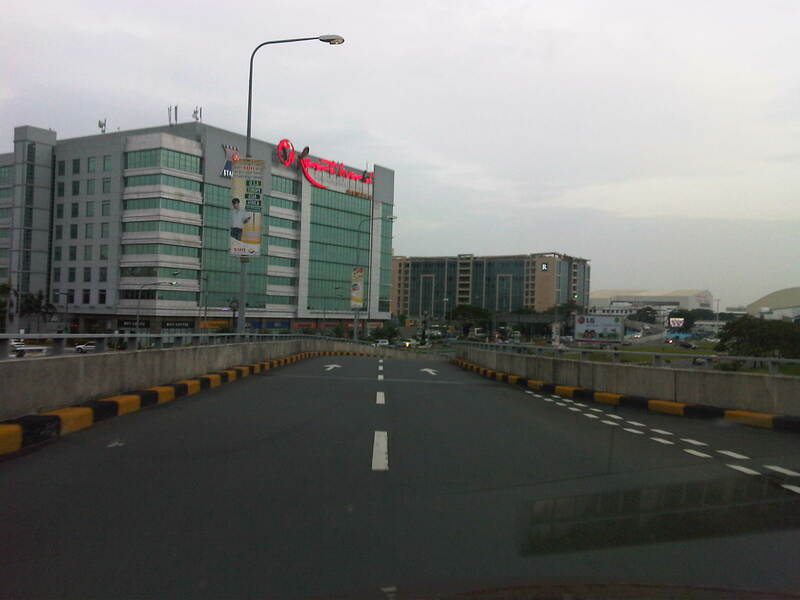 Ramp to Andrews Avenue – the Newport City development that contains several hotels including a Marriott Hotel and Resorts World Manila is located in the complex.